A vast number of people do not truly identify with yoga or Ayurveda, calling them ancient and useful only for the lifestyle of past eras. However, people do believe their fitness trainers, when they are told that their body is unique and requires a custom diet and fitness plan. In this scenario, what people are unaware of, is that this concept, every individual’s body being unique, originates from the basic principles of Ayurveda. Some people are allergic to certain foods and environments while others outright dislike them. On the other hand, there would be many who love the exact same things. Some people are very creative and are lone-workers while others are team players. Some are morning sparrows while others are night owls and some show signs of stress with a mild change in climate while others have no problem climbing peaks with no prior physical training at all. You can find all this within your own family! Imagine all this happening even when you all hail from the same background and have had the same upbringing and even work in similar professions! What accounts for such disparities in people? The answer is Doshas or people’s bodily humor. 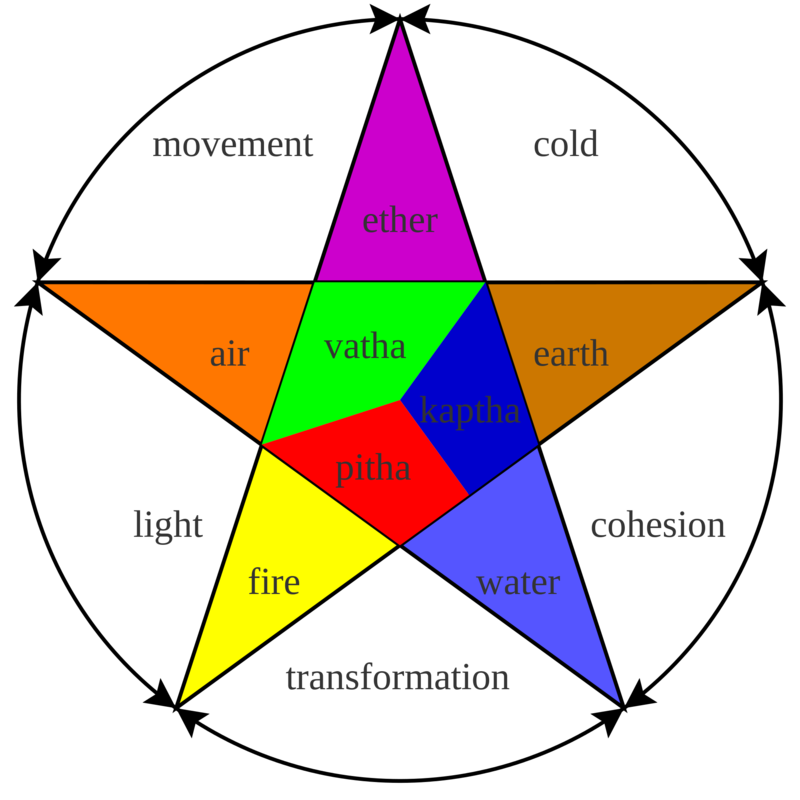 Ayurveda says that the five elements of the human body–namely air, water, earth, fire and space (ether), come together in different proportions to form three Doshas- Vata, Pitta, and Kapha, and accordingly there are different body types. 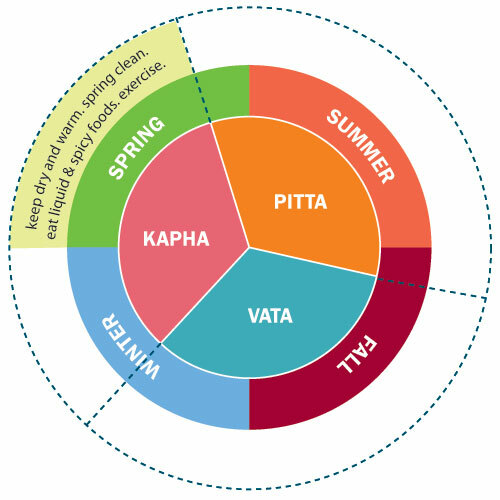 Some are predominantly Pitta type, some are Kapha type while others are Vata type. Why do people have different natures and tendencies and why do they experience different kinds of stress? This is because each Dosha comes with its own set of characteristics that it instills in people and makes them react and even think in a certain manner. Vata is a combination of air and space and is predominantly related to movement and the nervous system. A balanced Vata-individual would be highly energetic, a quick learner, creative, slender & tall, lively, fun, enthusiastic, a swift thinker & talker and extremely mobile. He/she would possess a dry skin and hair with less sweating. This person would also have a tendency to forget things easily, overexert, and experience cold hands and feet with discomfort in cold weather. These people often find it difficult to articulate their thoughts. Pitta is a combination of fire and water and is predominantly related to transformation and metabolic systems. A balanced Pitta-individual would be a fiery, intelligent personality who is ordered and focused, competitive, self-confident, content with his/her current life. He/she would be of medium build with an oily skin that is fair or reddish, often with freckles. This person would also possess a tendency to get aggressive and throw temper tantrums and feel uncomfortable in hot weather conditions. These people often struggle with sleeping and get sunburned easily. Kapha is a combination of earth and water and is predominantly related to cohesion and immune system. A balanced Kapha-individual would be calm, easygoing, loving and forgiving, non-judgmental, reliable, and naturally well-built, who speaks slowly, reflective of an articulate thought process. He/she would possess a normal skin with soft, shiny hair. This person might be a slow learner but would cover it up with an extraordinary long-term memory. These people tend to gain weight easily and act possessive and have a strong dislike to cold, damp weather. I’m sure you’d have made an attempt to identify which Dosha type you are and some of you might be wondering why your characteristics fall into two different categories. That’s because, in some people, two Doshas are more dominant than the third, a constitution known as dual-Dosha and hence, they display mixed characteristics. If you want to find out your Dosha type, you can take this small test. However, you must also remember that Doshas vary their dominance as per weather and also as per age. Recall how a downpour outside compels you to enjoy fried and spicy foods. That’s your Kapha Dosha dominating the other two. Similarly, you are more likely to fall into the Pitta Dosha category if you are a teenager or young adult, and Vata category if you are a senior. After having found your Dosha type, try to follow a lifestyle that is more suited to your body type to reduce all kinds of physical, mental, or emotional stress. Saying that Vata-individuals should live with a schedule that includes eating and sleeping at the same time every day, would be a generic advice. 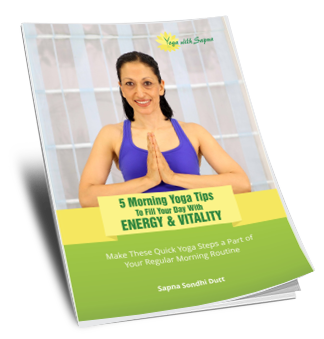 However, it more important for Vata-people to follow strict schedule than any other Dosha type. They should have a diet that warms up their body from within and is easy to digest, such as berries, fruits, nuts, beans, rice and dairy products. Since they are themselves very mobile, they should stick to an exercise of a moderate intensity, something like Tai chi, walking, or swimming. In yoga, they should go for poses like balancing and back-bends, and Pranayama, like Surya Bhedi Pranayama, to balance their Vata. It is essential that they perform at least 15 minutes of meditation every day to steer clear of anxiety and have a more articulate thought process. Pitta-people should try to stay indoors and in a cool environment, avoiding extreme exposure to sunlight and fried & spicy food. Their ideal diet must not have alcohol, tobacco, or overcooked foods, however, having them once-in-a-while is okay. They should include a lot of fresh fruits and vegetables that are watery and sweet, to cool their bodies from inside. Since pitta-individuals are are usually very charged up from the inside they must go for exercises that are more calming in nature and relax the mind. Meditation is really helpful while mindfulness is something that can make a profound difference in the way they handle their lives. Since Kapha people are more relaxed by nature, they are prone to sluggishness. To avoid that, they must maintain a very active lifestyle and a diet that fires them up from within. Their plate should include warm and spicy foods, ginger & lemon tea, and a lot of bitter dark greens, like bitter-gourd. However, oily and processed foods can prove detrimental, so they must be avoided. To mitigate sluggishness and depression, Kapha-individuals shouldn’t leave any opportunity to exercise. Their sturdy-build would support them in activities like trekking and other adventures. They can pull off any yoga sequence no matter how physically taxing it is, and so, they should. Their stable nature could make them a little unwelcoming to change, but they should try to implement life-enhancing habits as much as possible, even if it is just getting up from their chair and talking to colleagues. In Ayurvedic terms, the Dosha constitution of an individual is known as his Prakruti, and any deviation or imbalance in the original influence of the Doshas is known as Vikruti. Most people are not even aware of the fact that their body or mind is under stress. In that case, how can we expect to find relief for it? So here are the symptoms of stress that can be understood better when studied in relation to the Doshas. When Vata Dosha is increased, we feel fear and anxiety, changeable moods, get irritated and confused easily under the influence of stress. Physical symptoms include flatulence, gout, rheumatism, high blood pressure, etc., while a decrease in Vata may cause nerve loss, congestion, constipation and impulsive attitude. When Pitta Dosha is imbalanced, we will find our concentration decreasing and our nature becoming more aggressive and demanding. With an increased pitta, we might throw a temper around and turn impatient and hostile. Physical symptoms include ulcers, metabolic disorders, rashes or inflammations of the skin, acne, heartburn, insomnia, dry or burning eyes. A decreased Pitta may reduce our ability to understand and slow down our metabolism. If our Kapha dosha is imbalanced, we might have feelings of insecurity and envy that can even force us into depression due to fixation of thought. Physical symptoms of an increased Kapha dosha include sluggish digestion, cold and congestion in nasal passages, lungs, and intestines, sinus headaches, respiratory issues like asthma, allergies, and even hardened arteries. A decreased Kapha dosha may manifest itself as a dried nose and respiratory tract, feeling of a burning stomach and inability to concentrate. This means that if you are a pitta-personality, then you are prone to heartburn if you consume spicy and oily foods frequently in high measures. Why? Because pitta-type is a bile-dominated body type, which means that you already have more digestive juices in your body than others. However, when you consume the above mentioned foods you overshoot this level and put your system under duress. So to counteract the imbalance, what you need is an opposite of spicy, i.e. light food which is more water-based, like lentils, boiled vegetable salads, etc. Any kind of imbalance, or vikruti, is a stress on both your mind and your body, even if you feel you are perfectly fine because this is how you have been all your life. Like they say, “you are what you eat”, keeping a tab on what you eat and how you live can immensely help you in dealing with stress. And now that you are better informed on what your stress type is and what is causing it, you can handle it much better. Wishing you a happy and stress-free year ahead!